Growing up we had a number of pets with the majority being canine, so being in the company of dogs comes naturally to me! Nowadays, I have a lovely family and an adorable but stubborn Basset x Beagle who thinks she rules the roost and hopefully we will be getting more canine companions to add to our brood soon! 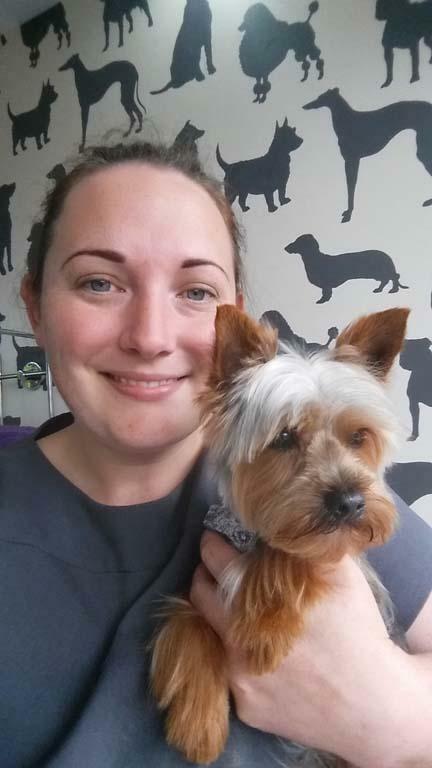 I discovered how much I enjoy dog grooming while working at Ashcross Kennels, and figured I would give it a try! I enrolled on the City & Guilds Level 2 Dog Grooming Assistant course and from then on couldn’t get enough. 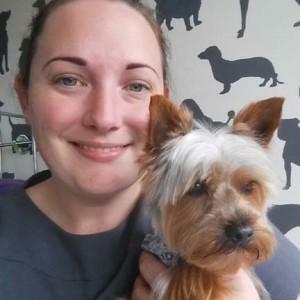 I went on to gain a Distinction in the Level 3 City and Guilds Certificate in Introductory Dog Grooming at a renowned local grooming academy and also have a number of other qualifications gained through attending short seminars and courses to expand my knowledge so that my standards are always top notch. I hold high expectations of myself so will continue developing my skills and expertise further as there is always so much more to learn! I love being able to groom any dog to both breed standards and also pet trims to better suit your lifestyle. Creative grooming is something I am very interested in having studied Art for a big part of my life, so I love to experiment with different styles and techniques when given the opportunity. It is extremely popular in the States and is becoming more and more popular in the UK, so if you are interested in something a little different, please let me know. A cute round ‘teddy bear face’ or even a blue mohawk, I am ready and willing! Thanks for reading a bit about me, I look forward to meeting you and your fur-baby soon!